Irritable bowel syndrome (IBS) is a chronic disorder of the intestines. IBS does not cause inflammation and does not lead to a more serious condition. The cause is unknown. With IBS, the muscles in the colon do not work normally and may spasm. If you have IBS, your colon may be more sensitive, reacting strongly to food and medication. Food allergies and certain bacteria may add to the symptoms. IBS may also occur after having the stomach flu ( gastroenteritis ). IBS is more common in women. It typically begins in young adulthood. You will be asked about your symptoms and medical history. A physical exam will be done. In many cases, a diagnosis can be made based on this. Since there is no diagnostic test for IBS, doctors have created criteria for making a diagnosis. There is no cure for IBS. Treatment focuses on controlling symptoms. Keep a food diary of what you eat and how your body responds. Share this with your doctor. You may have a food allergy. Make gradual changes to your diet. Record the results. Avoid foods that have caused problems in the past. A dietitian can help you substitute foods. Eat smaller meals more often or smaller portions. Eat slowly and try not to swallow air. Drink plenty of water. This will help to reduce constipation. Participating in a regular exercise program can help improve bowel function and other IBS symptoms. If you would like to start exercising, check with your doctor to make sure you are healthy enough. Learn as much as you can about IBS and ways that you can reduce your symptoms. You may also find it helpful to join a support group . Serotonin receptor agonists and antagonists (also called 5-HT3 antagonists)—May be helpful for treating diarrhea, as well as treating other IBS symptoms, like abdominal pain in women. Probiotics —Bacteria that help rebalance the normal bacteria in the colon. There are many probiotics available, but not all have been tested. The most common include Bifidobacterium, Lactobacillus, Escherichia coli, as well as various mixtures. In some cases, your doctor may recommend that you take a combination of medications. There are no current guidelines for preventing IBS because the cause is unknown. Drossman DA. Treatment for bacterial overgrowth in the irritable bowel syndrome. Ann Intern Med. 2006;145(8):626-628. Halvorson HA, Schlett CD, Riddle MS. Postinfectious irritable bowel syndrome—a meta-analysis. Am J Gastroenterol. 2006;101(8):1894-1899. Irritable bowel syndrome. 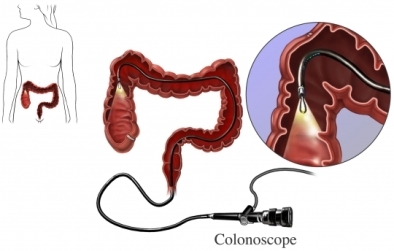 American Society of Colon and Rectal Surgeons website. Available at: https://www.fascrs.org/patients/disease-condition/irritable-bowel-syndrome-0. Accessed January 10, 2018. Irritable bowel syndrome (IBS). EBSCO DynaMed website. Available at: http://www.dynamed.com/topics/dmp~AN~T113627/Irritable-bowel-syndrome-IBS . Updated September 12, 2017. Accessed January 10, 2018. Irritable bowel syndrome (IBS). National Institute of Diabetes and Digestive and Kidney Diseases website. Available at: https://www.niddk.nih.gov/health-information/digestive-diseases/irritable-bowel-syndrome. Accessed January 10, 2018. Murch S. Allergy and intestinal dysmotility—evidence of genuine causal linkage? Curr Opin Gastroenterol. 2006;22(6):664-668. Probiotics for irritable bowel syndrome. EBSCO DynaMed Plus website. Available at: http://www.dynamed.com/topics/dmp~AN~T474265/Probiotics-for-irritable-bowel-syndrome . Updated August 11, 2017. Accessed January 10, 2018. Rubin G, De Wit N, Meineche-Schmidt V, Seifert B, Hall N, Hungin P. The diagnosis of IBS in primary care: consensus development using nominal group technique. Fam Pract. 2006;23(6):687-692. Yan F, Polk DB. Probiotics as functional food in the treatment of diarrhea. Curr Opin Clin Nutr Metab Care. 2006;9(6):717-721. 9/26/2006 DynaMed Plus Systematic Literature Surveillance http://www.dynamed.com/topics/dmp~AN~T113627/Irritable-bowel-syndrome-IBS : Mueller-Lissner S, Tytgat GN, Paulo LG, et al. Placebo-and paracetamol-controlled study on the efficacy and tolerability of hyoscine butylbromide in the treatment of patients with recurrent crampy abdominal pain. Aliment Pharmacol Ther. 2006;23(12):1741-1748. 1/6/2009 DynaMed Plus Systematic Literature Surveillance http://www.dynamed.com/topics/dmp~AN~T113627/Irritable-bowel-syndrome-IBS : Ford AC, Talley NJ, Spiegel BM, et al. Effect of fibre, antispasmodics, and peppermint oil in the treatment of irritable bowel syndrome: systematic review and meta-analysis. BMJ. 2008;337:a2313. 10/9/2009 DynaMed Plus Systematic Literature Surveillance http://www.dynamed.com/topics/dmp~AN~T113627/Irritable-bowel-syndrome-IBS : Lee S, Wu J, Ma YL, et al. Irritable bowel syndrome is strongly associated with generalized anxiety disorder: a community study. Aliment Pharmacol Ther. 2009;30(6):643-651. 11/4/2009 DynaMed Plus Systematic Literature Surveillance http://www.dynamed.com/topics/dmp~AN~T113627/Irritable-bowel-syndrome-IBS : Ford AC, Brandt LJ, Young C, et al. Efficacy of 5-HT3 antagonists and 5-HT4 agonists in irritable bowel syndrome: systematic review and meta-analysis. Am J Gastroenterol. 2009;104(7):1831-1843. 1/11/2010 DynaMed Plus Systematic Literature Surveillance http://www.dynamed.com/topics/dmp~AN~T113627/Irritable-bowel-syndrome-IBS : Wittmann T, Paradowski L, Ducrotté P, Bueno L, Andro Delestrain MC. Clinical trial: efficacy of alverine citrate/simeticone combination on abdominal pain/discomfort in irritable bowel syndrome: results of a randomized, double-blind, placebo-controlled study. Aliment Pharmacol Ther. 2010;31(6):615-624. 7/16/2010 DynaMed Plus Systematic Literature Surveillance http://www.dynamed.com/topics/dmp~AN~T113627/Irritable-bowel-syndrome-IBS : Dorn SD. Systematic review: self-management support interventions for irritable bowel syndrome. Aliment Pharmacol Ther. 2010;32(4):513-521. 1/14/2011 DynaMed Plus Systematic Literature Surveillance http://www.dynamed.com/topics/dmp~AN~T113627/Irritable-bowel-syndrome-IBS : Pimentel M, Lembo A, Chey WD, et al. Rifaximin therapy for patients with irritable bowel syndrome without constipation. N Engl J Med. 2011;364(1):22-32. 4/22/2011 DynaMed Plus Systematic Literature Surveillance ht http://www.dynamed.com/topics/dmp~AN~T113627/Irritable-bowel-syndrome-IBS : Johannesson E, Simrén M, Strid H, Bajor A, Sadik R. Physical activity improves symptoms in irritable bowel syndrome: a randomized controlled trial. Am J Gastroenterol. 2011;106(5):915-922.